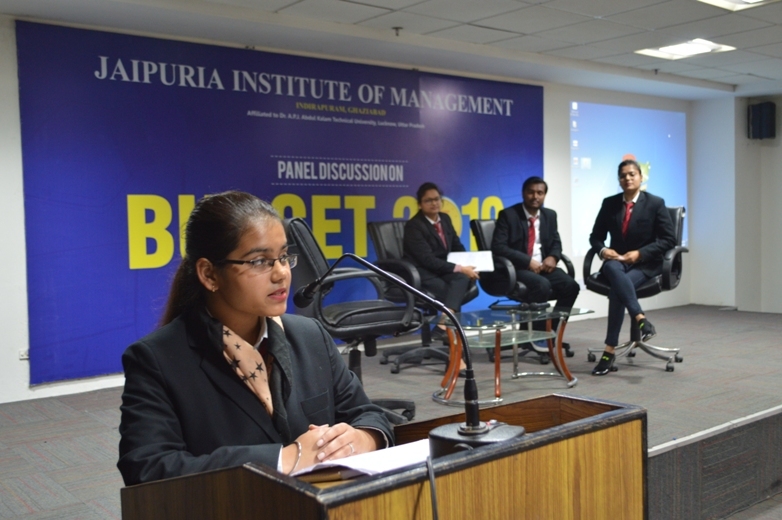 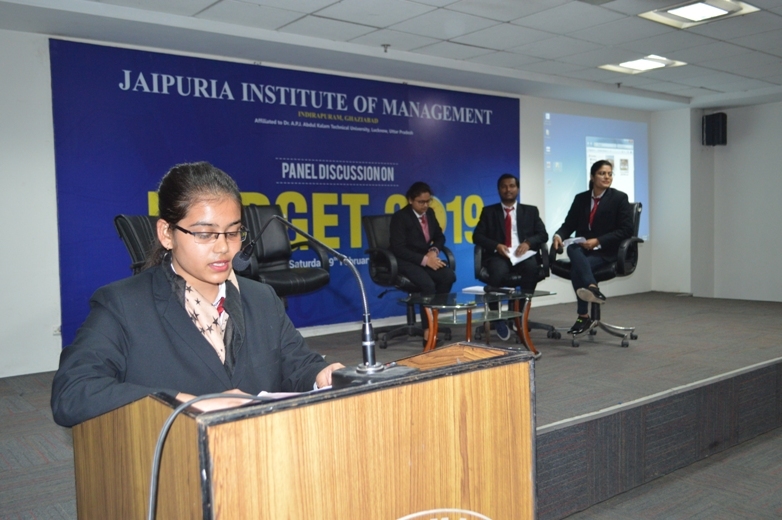 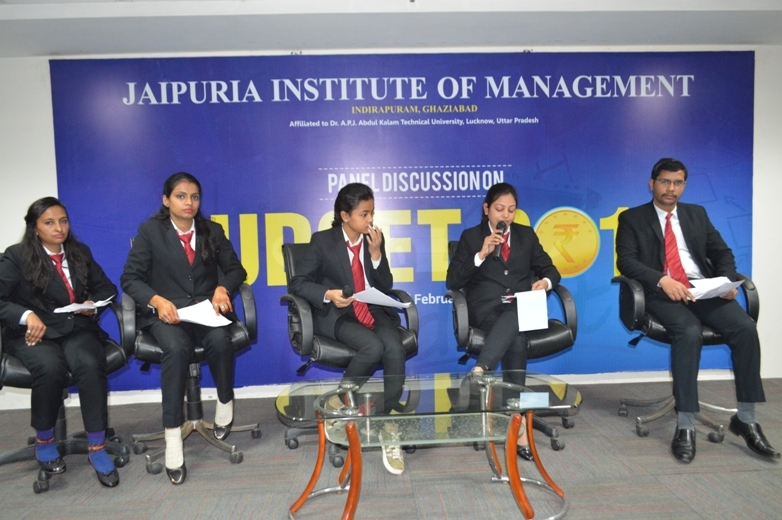 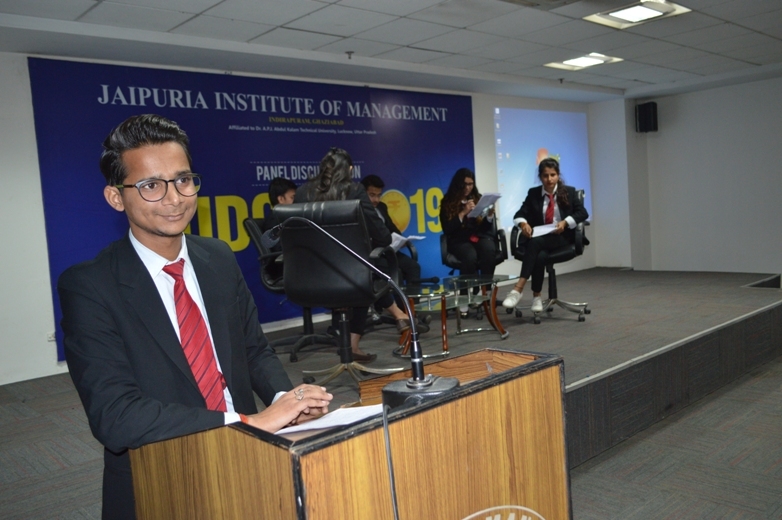 Jaipuria Institute of Management organized a panel discussion on the budget on 9th Feb 2019. 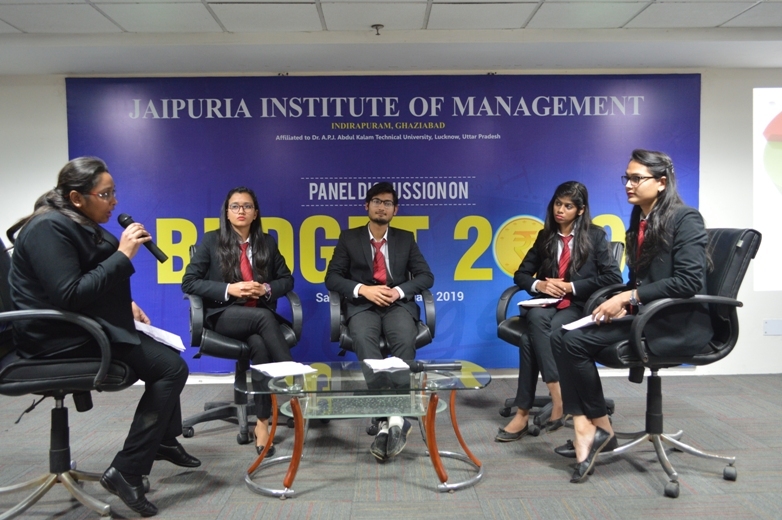 The students of MBA first year participated in the session. 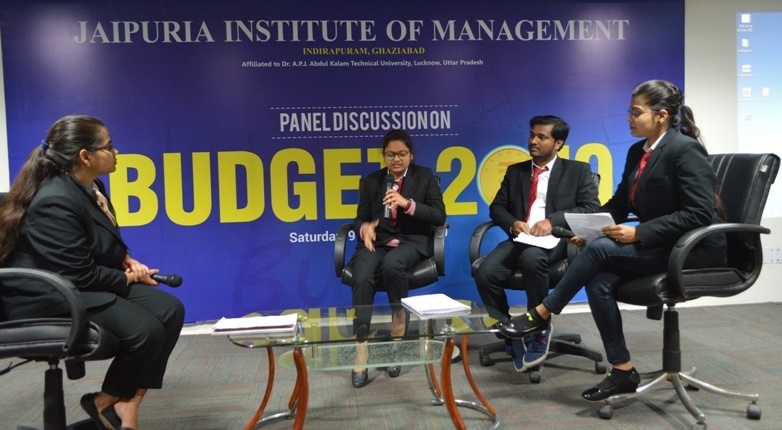 It was a very engrossing session covering the major highlights of the budget like, Government bringing down the average inflation to 4.6% lower than the inflation during the tenure of any other previous government, Exemption income up to 5 lac from income tax limit, New allocation for small and marginal farmers, Excellent budgetary allocation for defense. 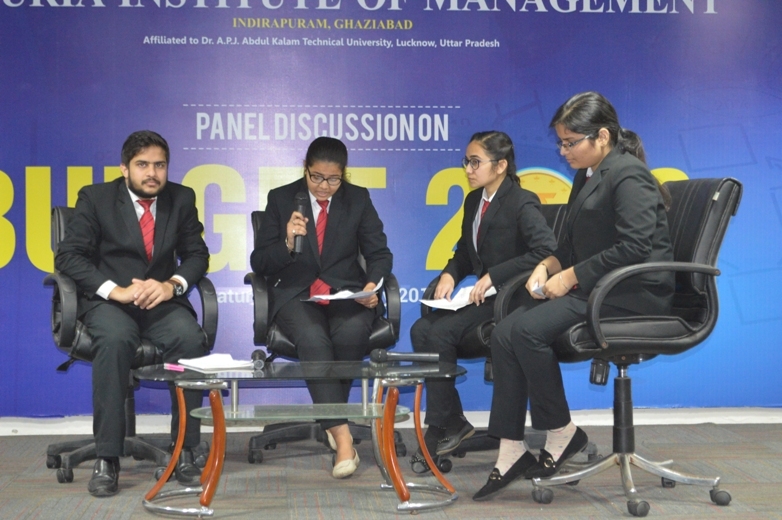 They also discussed the consequences post the implication of the schemes. 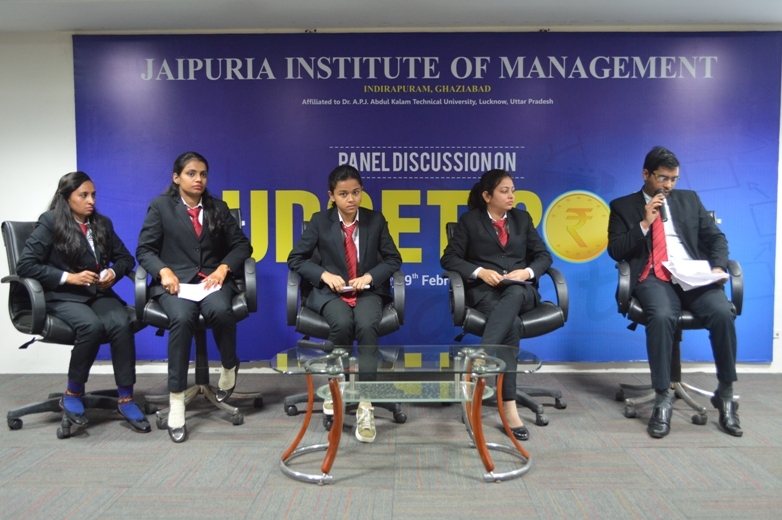 The students were given overall feedback by the faculty of JIM. 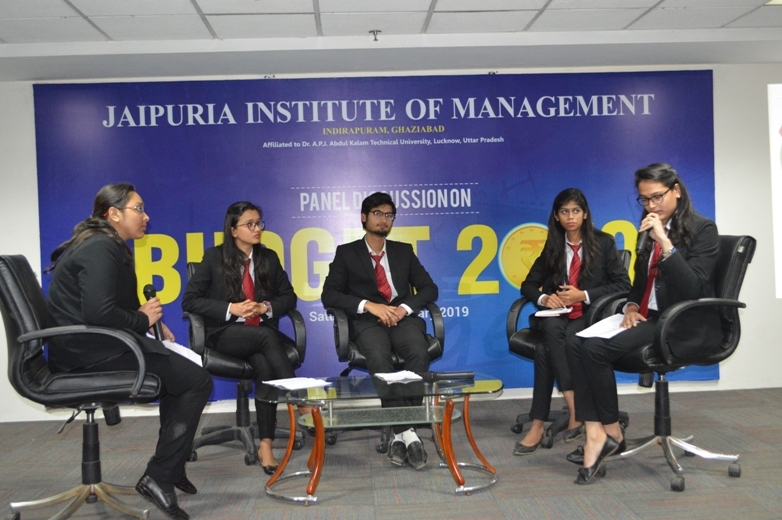 It was an extremely fruitful session for the students. 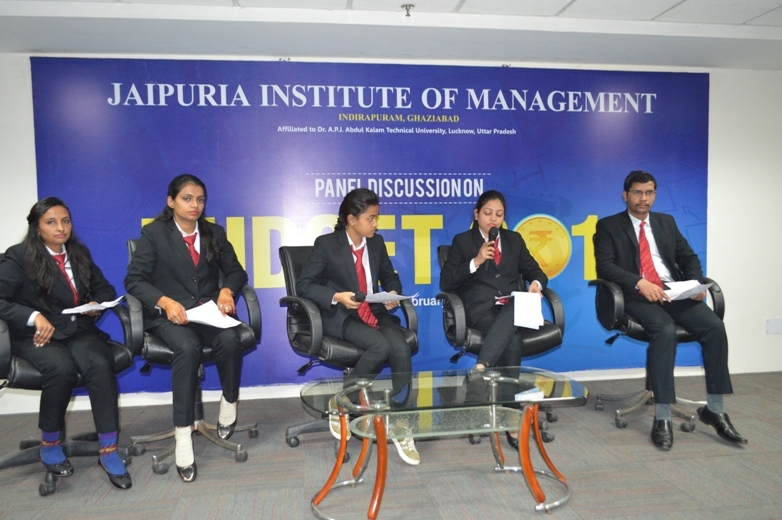 The winners were judged upon their confidence, communication skills, and content clarity. 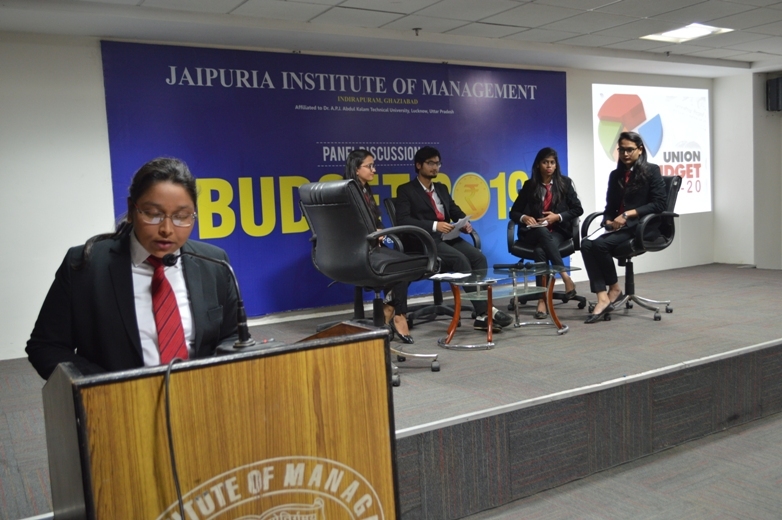 The winners were awarded certifications and a book.